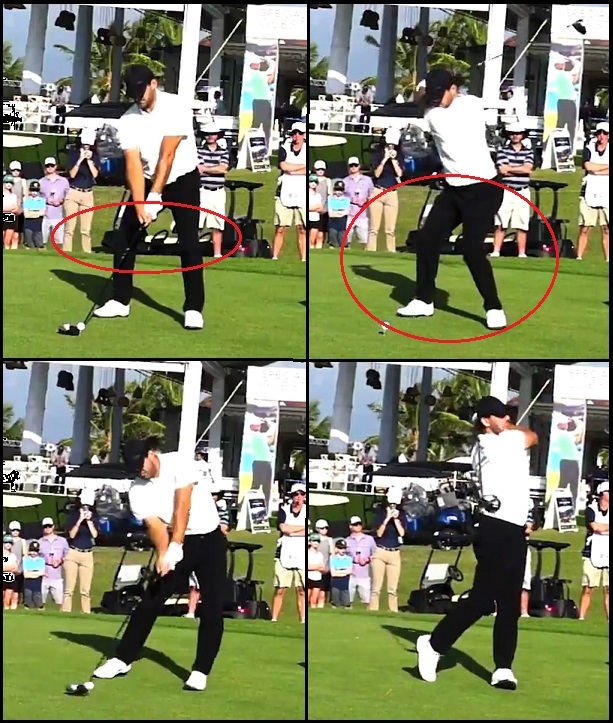 You see how he has a very short and flat back-swing, but straighten up that posture in the address and he’d get more hip turn out of the exact same swing action, which means more power and of course, easier swinging than required with the deep knee-bend. You know who played football before a knee injury de-railed his college career, leading him to take up golf and long drive? That is an excellent trailing foot release to keep strain off the lower back (reverse-C) and also to finish balanced on the leading foot. 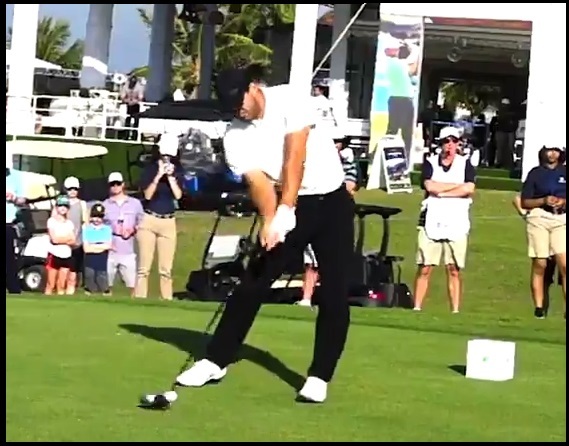 Now, he may not be as good a golfer as the guys on Tour, but I’ll tell you this – his golf swing is more athletic and more mechanically sound than a whole lot of them. I’d love to see what T.R. could do with a couple of little tweaks to that setup and swing. Might surprise a whole lot of people! Beautiful! I’ve got to work on my release, that’s a step around finish to strive towards. Actually, back it up and work on the setup then the pivot to get to the top position for a proper down swing and release, D.L. That’s what I did over the fall/winter period. The impact and release are at the end of that kinetic chain, which begins at the setup & initiation of the pivot. Started working on it after your analysis. I think it’s already starting to come together. I plan to hit the range this week and play 18 on Sunday and see how it’s working, hopefully grab some video!